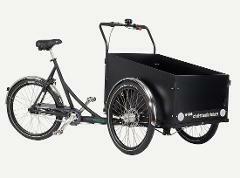 Christiania bike (cargo bike/box bike) for one adult and two small kids. Tandem for one adult and one kid. 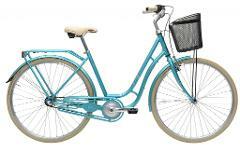 This is a student bike, one that we buy back from (exchange) students when they move back home or when they just want to sell it back to us. With an E-bike, your Copenhagen visit becomes extremely easy and smooth.